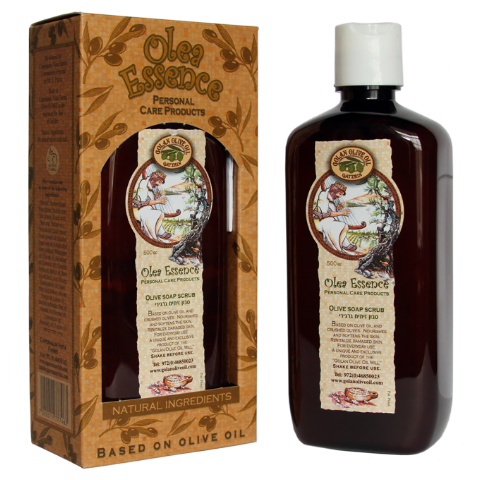 One of the items we have available at our shop through My Olive Tree is olive soap. Many people might not have heard of olive soap, but it has a lot of natural benefits to skin that people of all ages and backgrounds will appreciate. Best of all, the purchase of our olive soap helps us continue to further our mission to reclaim the desert in Israel and restore peace and prosperity to a region that has suffered significant hardship over the centuries. 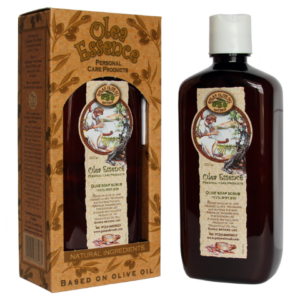 Olive Soap Scrub 16.9 fl oz / 500 ml Bottle Consists of crushed olives. Nourishes and softens the skin. Revitalizes damaged skin. For everyday use. Leaves the skin smooth and lovely. Antiseptic. instead, the skin will shed its dead cells naturally, keeping the skin smooth and healthy in feel and appearance. Natural olive oil soaps retain glycerin, which absorbs water molecules from the air and moisturizes your skin. Commercial soap products often have their glycerin removed. Better for allergies. If you are prone to allergic reactions, you’re much less likely to have issues when using olive oil-based soaps. In fact, a recent study indicated that olive oil was actually a suggested ingredient for creams used on newborn infants. If it’s safe for newborns, then it’s surely safe and gentle for your own use. Rich in antioxidants. Every day you are exposed to a variety of oxidants through the food you eat, pollution you encounter, products you use in your hair or skin, etc. Olive oil, however, is a great natural antioxidant source as it includes vitamins E and A, which help to combat the harmful chemicals you encounter throughout the day. A pleasant aroma. Let’s face it; many soaps sold and used today are overly scented to the point where they actually are more offensive in odor, which sort of defeats the purpose. Olive oil soaps have a light, pleasant aroma. They also last a longer time than standard soaps as they do not lather as much as traditional soap bars. Place your order for our olive soap today, and help us to continue to be able to support the people of Israel. Thank you for your friendship and solidarity!